Ok, maybe too much too soon, but I love my new machine and I have to show it off. 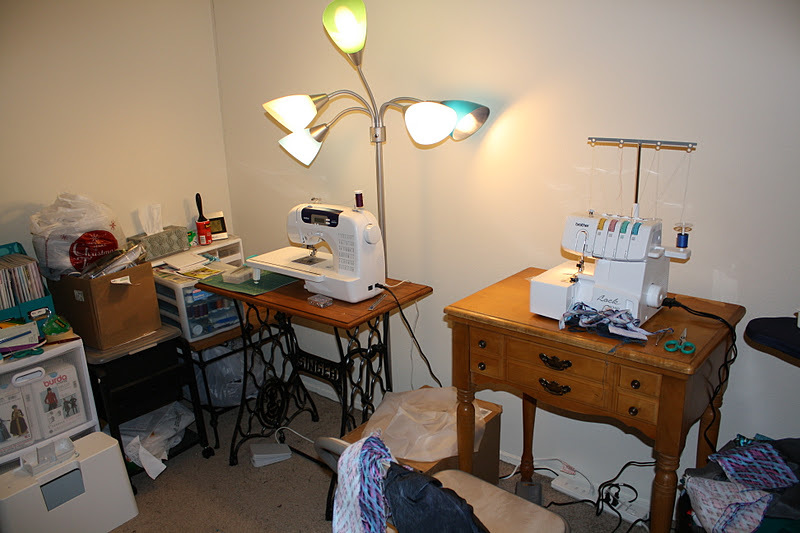 My serger in its new home. Bad news: I am getting sick. Not fun. Good news: Being sick = staying home and sleeping and spending some extra time with my new toy. 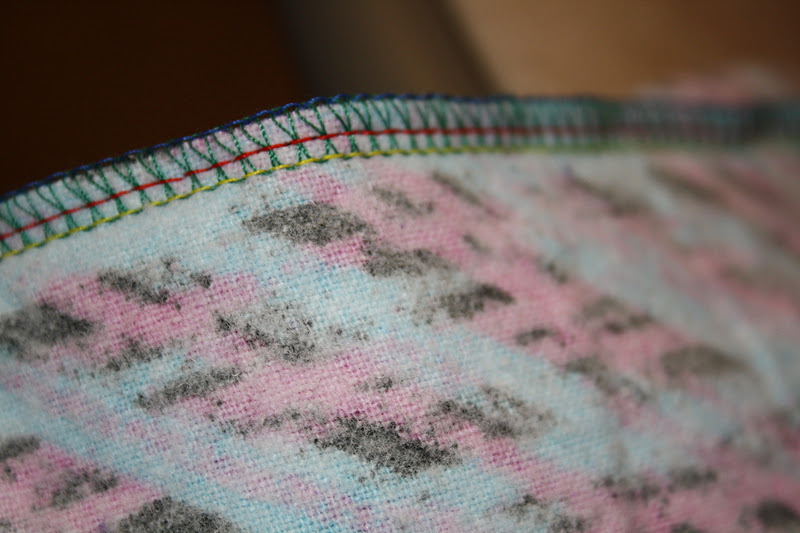 I threaded it from scratch and it wasn’t too bad – took about 5 minutes or so? Not too complicated, though I must say the tweezers are lovely for the last bit of threading the loopers and needles. 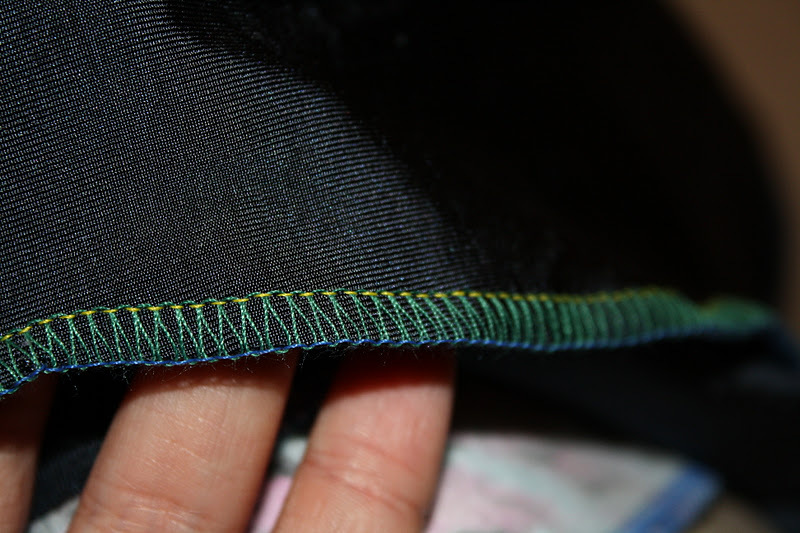 I tested out the 4-thread and 3-thread overlock stitch functions. I had to do some minor adjustments with the tension, but not too complicated. I used the instruction manual to help me figure out which dials needed adjusting. I haven’t tried rolled hem, flatlock, or any of the fancier stuff yet because I couldn’t muster the energy to do much more than remove one of the threads, so I probably won’t test those out for a while yet. 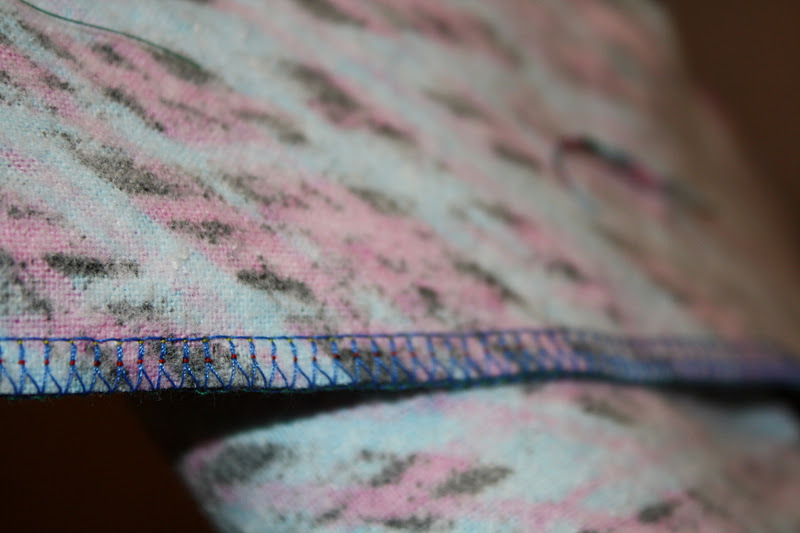 In any case, I an pretty pleased with the results on the scrap fabric. The seam looks pretty nice from the outside. Yes, the fabric is not all going the same way. This may or may not have been intentional for photographic purposes. 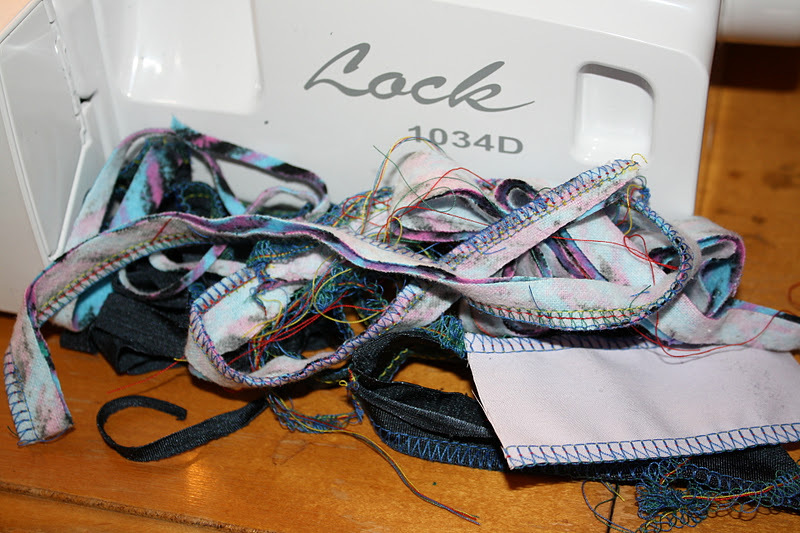 I am waiting on an order of serger thread from Atlanta Thread & Supply Co., which should include some wooly nylon, which is supposed to help with stretchiness, although the 3-thread overlock seam is already really really stretchy. I am thinking wooly nylon should go where the green thread is now (upper looper thread position)? And the blue (lower looper) and yellow (needle) should be polyester thread for skating costumes and knits? I have a few reference books I should look through before I try that, but any advice from my lovely readers would be great too. I have been told that threading the wooly nylon is a huge PITA, and so I should knot it to an already threaded regular thread, then pull it through the threading areas. Once my thread comes I will give an update and let everyone know how it goes…. I will say the machine does make more noise than I expected during normal operation, not that I expected it to be totally quiet. It isn’t that it is so incredibly loud, but rather that the noise sounded a bit like something was wrong, although the stitching was coming out ok. I think because there are more moving parts it just has a lot more sound near the front of the machine than I am used to with the regular sewing machine. One thing I like is that when you start to press on the foot pedal you can hear a whining sound of the motor gearing up, and when you press harder this baby starts to go! I found it easy to adjust the speed with my foot pressure, so I really like that. And it can go fast. Really fast. Like, really, really fast. No wonder some people can sew up knit tops in an hour! I also like the cutting blades. Cuts through fabric like it is nothing. 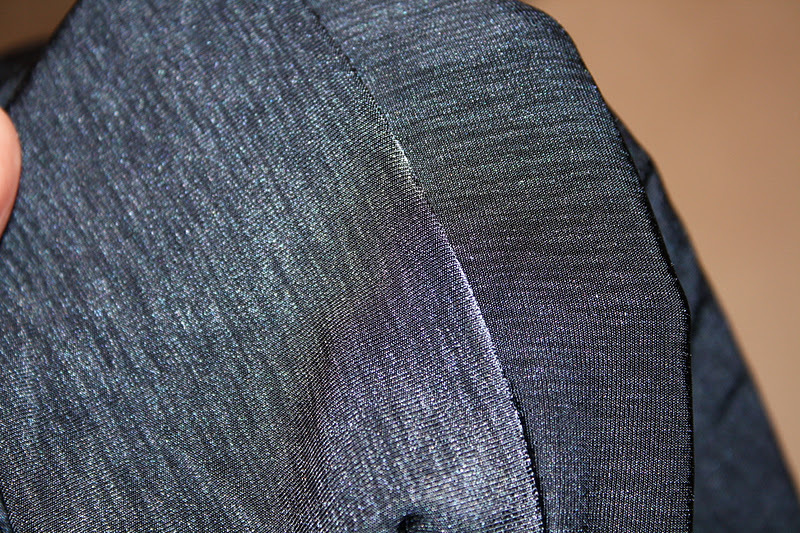 So smooth, even on stretchy spandex knits. Can’t wait to see how it deals with the stretch velvet. Hungry serger goes nom nom nom. So, as you can see, I am really happy with the new machine. I want to play with it more, but later when my head is not feeling so fuzzy. 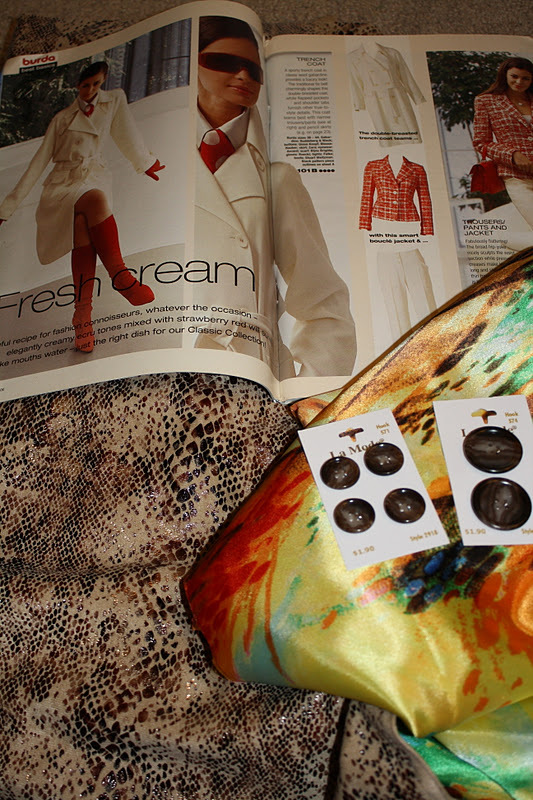 I think I would rather deal with something a little bit safer, like tracing out my trench coat pattern. 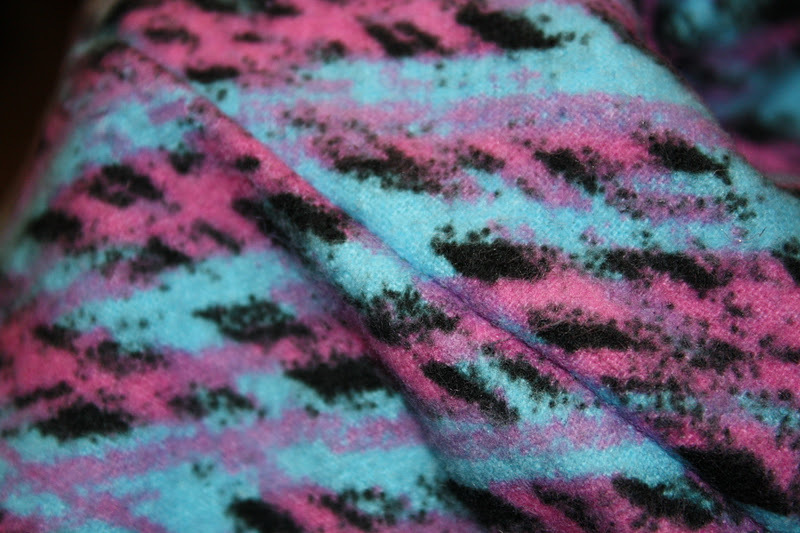 Burda pattern, using the snake print for the outside, and colorful charmeuse on the inside. I even have my buttons all picked out. 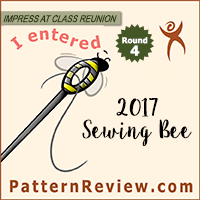 I have been thinking about using my serger for the main seams, and using the sewing machine for topstitching, button holes, attaching the collar, etc. I mean, the material is some fairly cheap polyester micro-sude type stuff from Joann, so I am not exactly planning on using couture techniques on this project. Is there a good reason why I shouldn’t use the serger on the coat? 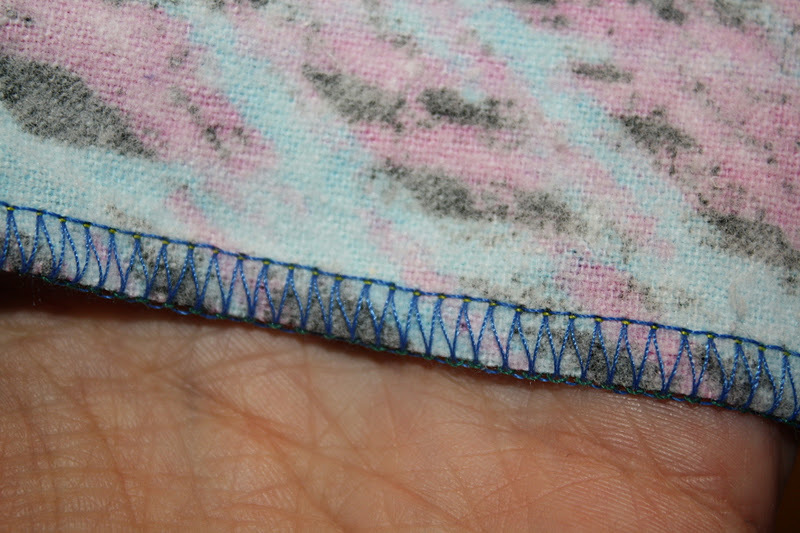 Other than that it almost feels like cheating… Sewing the seams and finishing the edges all in one step. But my thinking is that the serger might help reduce the bulkiness of the seams, especially since my materials are not too thick (unlike my previous coat projects). At the very least I will use it to finish the edges. The snake print material does not fray at all (went through the wash beautifully), but I want to underline with cotton muslin for body, which will fray a lot. I think I for sure will use the serger to put together the lining though – can’t see a reason not to use it to reduce bulk on those seams. But something I will think about over the next few days as I get the prep work done. If anyone has any opinions on the appropriateness on my planned use of the serger in this project please feel free to pipe up in the comments. As for right now… I am going to make myself some soup and crackers, and feel miserable for a bit. But not too miserable. I do have a serger after all. 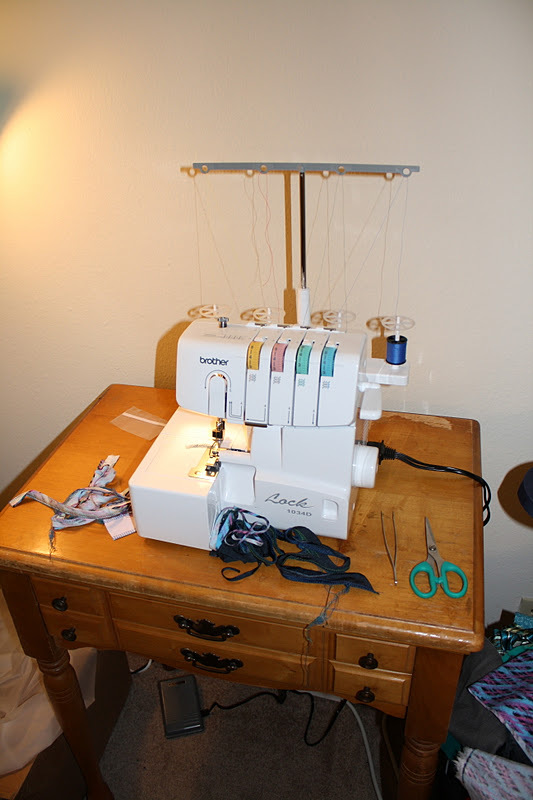 Brother Serger + Brother Sewing Machine – BFFs or sibling rivalry? It’s Here! It’s Here! It’sHereIt’sHereIt’sHere! I love my Brother 1034D! It looks like your other machine is the CS6000i? I really wanted that about 5 years ago, but it was out of my price range 😦 Of course, now I just got a machine that dwarfs the price range I had 5 years ago…hopefully I don't need another new one for a good 20 years! 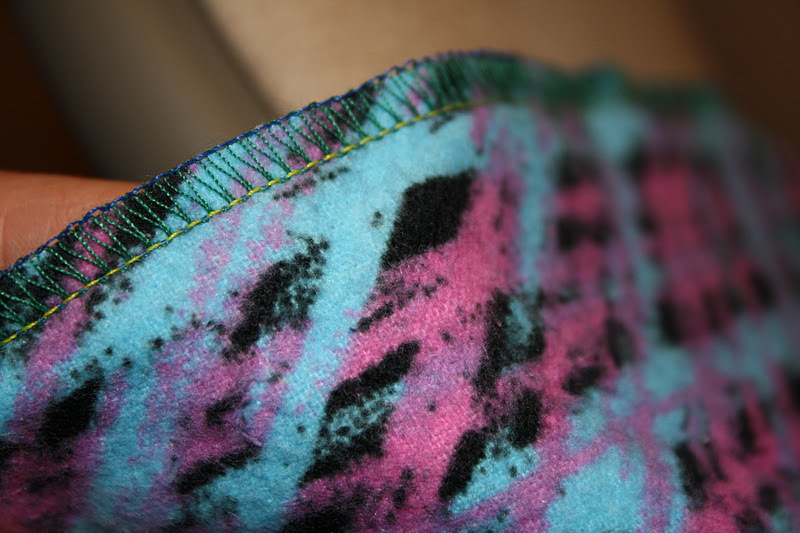 I can't believe how easy the serger makes sewing knits. It makes me want to put my quilts aside and make more shirts. But, can someone cut all the patterns for me? Yeah, my machine is a Brother CS6000i – it has been a great machine for the money so far. I mean, yes, it can be kinda bratty sewing knits (it likes to eat them, though it may not have much of a chance to do that anymore hehehe) and it doesn't deal with super heavyweight stuff well either (I was sewing a heavy winter coat that literally knocked the machine over), but I have been pretty abusive to the machine and it keeps sewing. Eventually I would love to get a really high quality machine (the new Berninia 530 looks so amazing! ), but at the moment if my Brother sewing machine died (knock on wood) I would seriously consider replacing it with the same model. Of course, I would probably look for a good used machine first… but if I was desperately limited on time and money then I would totally get another CS6000i. 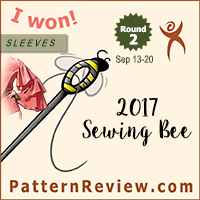 And as for cutting out patterns – I totally agree! 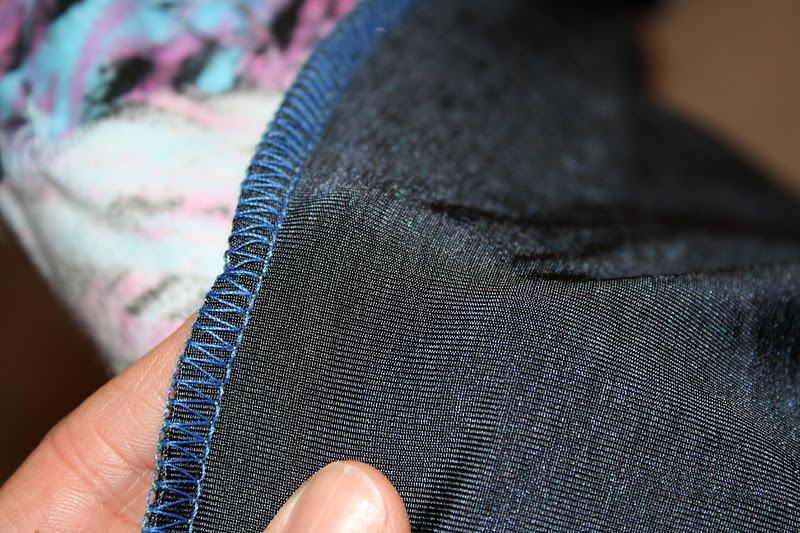 I hate cutting them out – my least favorite part of sewing! I hate cutting the patterns out of the paper more than cutting out the fabric, which I wouldn't mind as much if I weren't doing it on the floor.